Alamo Heights Independent School District is set to host a huge “Howdy” this year. Howdy is an annual tradition at Alamo Heights ISD, it symbolizes the start of a new school year and kicks-off the much loved Homecoming celebration. From the first “Howdy” of the Howdy Parade, Howdy Night Carnival, Pep Rally and Bonfire, the celebration continues with the football game and Homecoming Dance. Current and former Mules love the tradition of a Mule Homecoming. Get your blue and gold on, and throw your #MulesUp! St. Peter Prince of Apostles School will open a new addition to the early childhood daycare program, which serves children as young as 18 months. Formerly known as the Weekday Children’s Program, The Learning Center at St. Peter Prince of Apostles, located on Marcia Place, was previously housed in one building. Beginning this fall, the facilities will double in size as the school opens a second building dedicated to the early childhood program. Children will now benefit from more space to play and learn with children their own age, as each building will house one of two age groups: 18 months to two years, and two to three years. The school offers full-time and part-time care from 7:00 am to 3:30 pm each day, with after school care until 6:00 pm. 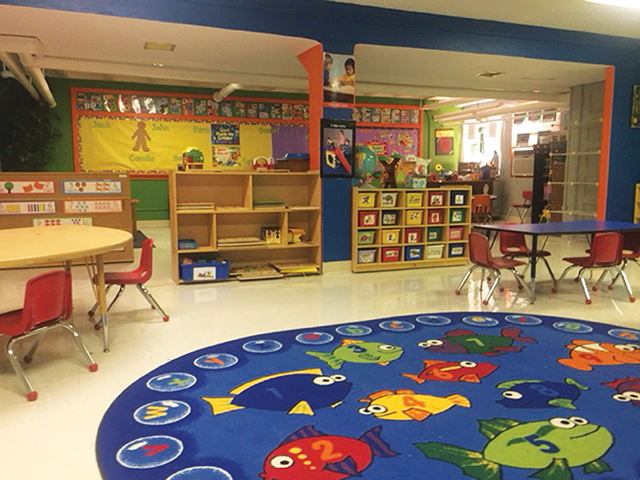 As a result of this expansion, the Pre-K3 classroom has relocated to the primary building across the street, and the elementary library has been moved to a new location, all to better serve the needs of students. Students at St. Peter Prince of the Apostles School are used to seeing priests at weekly Mass on Fridays. However, beginning this August, middle school students will benefit from receiving daily interaction and instruction from the parish priests in their religion classes each day. Father Martin Leopold and Father Agustin Estrada will be adding the title of classroom teacher to their resumés, as they will be teaching the religion classes for grades five through eight for the coming year. As fewer religious leaders occupy teaching roles in Catholic and parochial schools these days, the students at St. Peter’s will have a very special and unique opportunity to dialogue with and learn from their own parish priests. It’s time to get ready to go back to school! The team at Alamo Heights ISD is excited and ready to be reunited with all our students. Need more information? The links to the calendar, school supply lists, Mule Markets and more can be found on the district website, www.ahisd.net, under the Students & Parents tab. Powered by Go Public, Via Bus, and the Texas Cavaliers, art students from across San Antonio are now part of the city’s first ever art gallery on wheels. 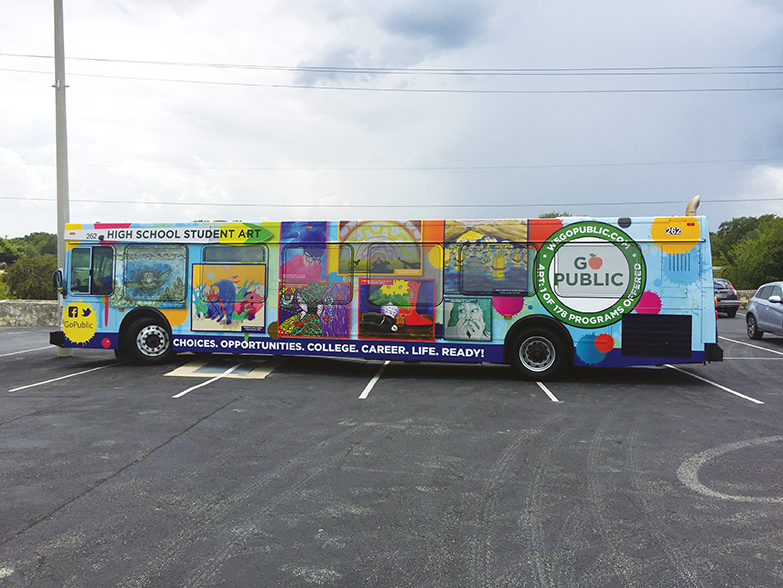 Thanks to the collaboration, three city buses feature collaged artwork that wraps the entire bus on all sides, showcasing 31 high school student artists from: North East ISD, San Antonio ISD, Medina Valley ISD, Alamo Heights ISD, Lackland ISD, Edgewood ISD, East Central ISD, and Floresville ISD. Additionally, 11 elementary student artists whose work was selected through the Texas Cavaliers River Art Parade contest were featured, as well as Alamo Heights students Kalle Duncan, from AHHS, and Piper Smith, from Woodridge Elementary. Follow Go Public on Twitter and Facebook @WeGoPublic. Check out the Cool Schools segment on KSAT 12’s SA LIVE or look for the Go Public Billboards as you drive around the city. Alamo Heights Independent School District is pleased to be a part of the National School Breakfast & Lunch Programs once again. As a part of the programs, we are able to offer nutritious and delicious meals to all enrolled students of Alamo Heights. All students are welcome to eat breakfast and lunch every school day in their school café. Pricing information is available on the AHISD Child Nutrition webpage at www. ahisd.net/departments/nutrition/nutrition.html. You will also be able to link to our online Free and Reduced application process, which may provide your student with a free or reduced price meal program depending on income qualifications. Paper applications are also available in Spanish and English for download, or can be picked up in the front office of your school. Alamo Heights Mules will be leading the pack with the installation of Hellas Matrix® Turf at Harry B. Orem Stadium. The district was looking to make the field cooler and protect players from injuries. Ecotherm reduces the temperature of the field up to 20 degrees versus a synthetic turf field with black crumb rubber, and no irrigation is required. “Keeping our kids safe is the priority,” Roland said. The turf was completely installed and ready for use in July, just in time for the new season of Mule sports, band, cheer, drill and dance. 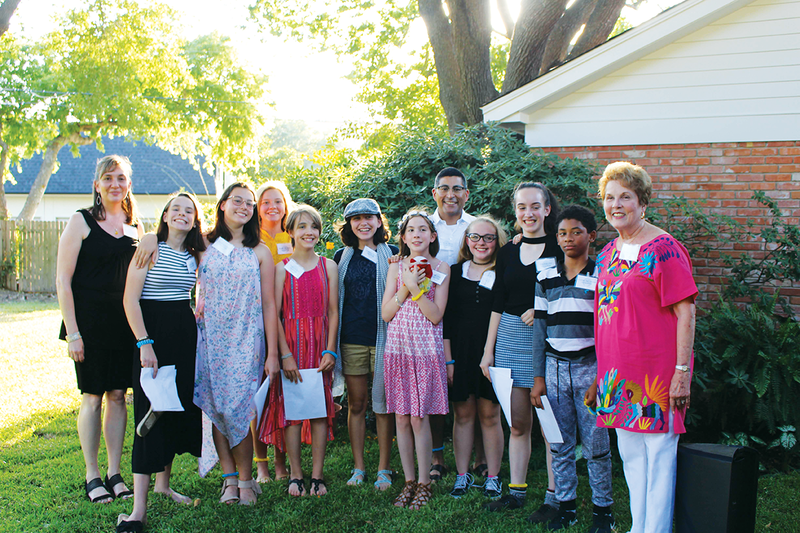 Thanks to the generous support of the Alamo Heights School Foundation, 7th grade students with a love for writing can fuel their passion by attending the Martha Spoor Young Writers Workshop. The fund was established in 2008 in memory of Martha Spoor, a 1987 graduate of Alamo Heights High School and English teacher at Alamo Heights Junior School. Martha’s hope is to inspire students to express themselves in their writing through the use of critical thinking and creativity. Students from the Alamo Heights High School aerospace engineering program completed their annual summer journey to New Mexico with a custom designed and crafted rocket. The students, led by teacher Colin Lang, unveiled their Goddard-level rocket to a crowd of family members, friends and reporters on campus in mid-June. At the end of the month, the students went to White Sands Missile Range, where the rocket had ideal ignition and reached a height of 20,000 feet. However, the rocket did not obtain the altitude that Lang and the students had in mind. Alamo Heights is among a handful of high schools whose students get a blend of public and private support to design and develop a rocket each year, and launch the rocket at the missile range. 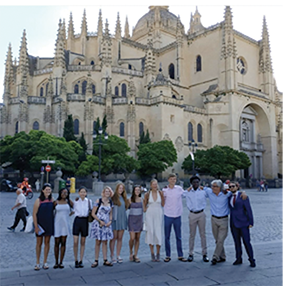 At the Instituto San Pedro, Williams lived with a host family, studied Spanish grammar, conversation, composition and civilization at the Padre Claret high school in Segovia. She also taught English to local children and experienced culture, history and architecture through daily tours. All activities, in and out of the classroom, are conducted in Spanish. Williams was the only student from Texas, joining nine others from two schools in Boston and Connecticut. At TMI last year, she was named to the Freshman Scholastic Society, an academic honor society for ninth graders, and earned a Plata (silver) award in the 2018 National Spanish Examination.